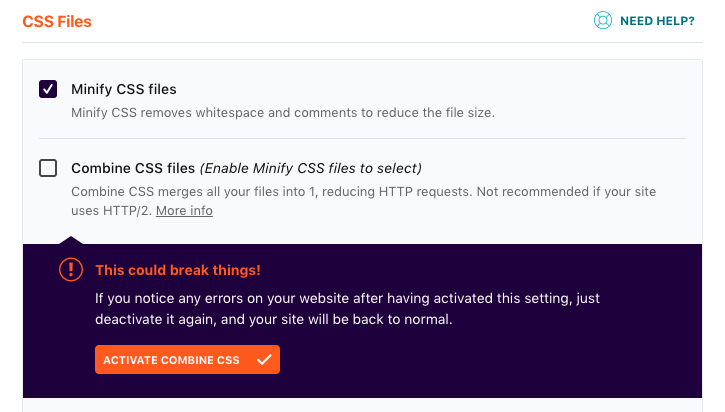 These settings can help with your performance grade and reduce the number of HTTP requests on your website; however, depending on your server, theme, and plugins, they could also slow your site down, or cause broken functionality. Heads up: Combining files is not a “set and forget” feature! Your should test these settings thoroughly before use. 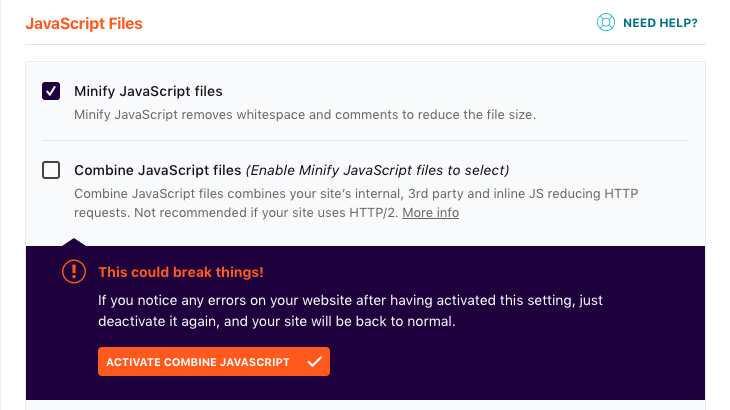 Be aware that changes made to your plugins or theme can change how this feature interacts with the rest of your site. If you notice issues, resolve them first, or deactivate the option again. your site runs on HTTP/1. your site runs on HTTP/2.